Dominique SERIO is Associate Professor of Law at EDHEC Business School with a specialization in innovation and new technologies for entrepreneurial projects. 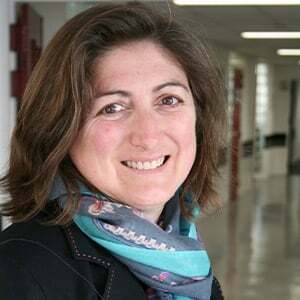 After practicing as a lawyer at the Nice Bar, Dominique SERIO worked as a program Director at EDHEC Business School and Supaero (ISAE) and for more than three years as a pilot of the EDHEC EYE incubator on the Nice campus. In her teaching mission, with audiences in initial training or experienced managers, Dominique SERIO shares her expertise and contributes to the learning of law as a tool for management and corporate performance. Her research interests encompass employment law, intellectual property law, law of new technologies and the analysis of the legal risks associated with business start-ups. Her publications, books and articles focus on law as a performance tool for companies in various fields such as Criminal Labour law, new business models such as self-employment and new legal opportunities linked to the evolution of technologies in respect of individual liberties. Indépendant, auto-entrepreneur, EIRL, micro-entrepreneur : le guide pratique. Indépendant, auto-entrepreneur, EIRL : le guide pratique. Indépendant et auto-entrepreneur : le guide pratique.